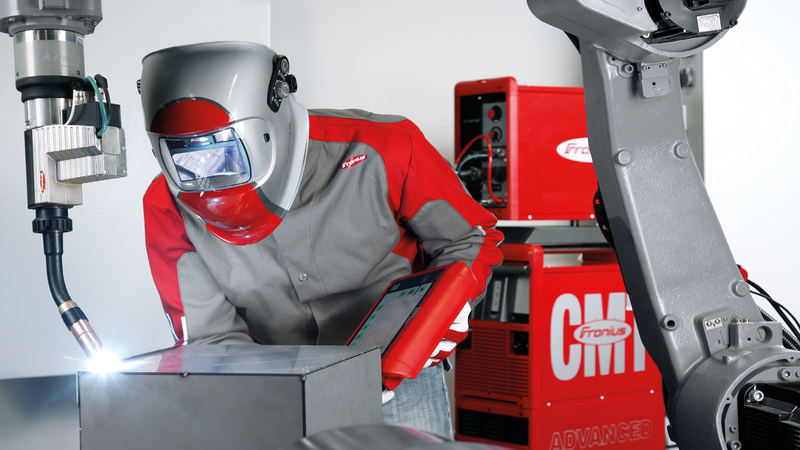 The “cold” CMT (Cold Metal Transfer) Advanced welding process from Fronius stands for deposition rates that can be exactly adjusted by way of positive and negative process cycles. As the polarity reversal takes place in the short-circuit phase, this joining process ensures the high stability to be expected of cold welding. CMT Advanced also brings further advantages, including targeted heat input, a higher deposition rate with no increase in heat input and minimal distortion. What’s more, it produces very few welding fumes, which improves the working conditions for the welder. The welding process is based on a combination arc with positively and negatively poled CMT cycles. Pole reversal takes place in the short-circuit phase, keeping the arc stable. 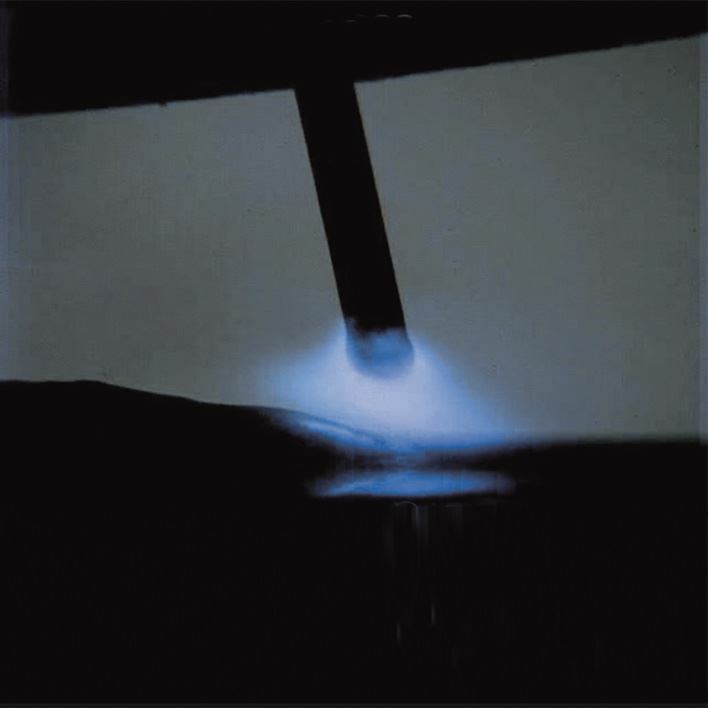 During the negatively poled phase, the welding process achieves a higher deposition rate and improved gap-bridging ability, whereas the positive cycles are marked by targeted heat input and exact droplet transfer. The wire motion is incorporated into the process. While the positive cycles are alternated with the negative cycles during CMT Advanced, the CMT Advanced Pulse welding process combines CMT cycles with a negative electrode polarity and a pulse phase with positive polarity. The process achieves a higher deposition rate during the negatively poled phase with lower heat input. Pole reversal to the positively poled pulsing cycles takes place in the short circuit. As well as higher heat input, the pulse phase gives the user the advantage of non-short-circuiting droplet transfer. The relationship between the positive and negative process cycles is freely selectable. CMT Advanced Pulse makes it possible to join high-strength steels with a sufficiently high deposition rate yet with low heat input. The constant feeding (PUSH and PULL) of the welding wire also promotes the uniformity of the arc and thus achieves a better welding result. With 36 sites across North America, Europe and Asia, Magna Steyr is one of the world’s leading brand-independent automotive suppliers. The subsidiary company of the global Magna International Group employs almost 9,500 people. Incorporating highly flexible development and production strategies, the company provides solutions for vehicle parts, components, modules and entire vehicles. Higher brazing speeds due to patented gas nozzle shape. Form a positive joint between metal and plastic with CMT Pin. The most cost-effective way to weld.